Hello and thank you for visiting my web site. 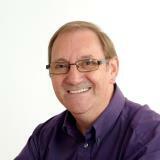 My name is David Burton, and I am a psychic medium, Reiki Master/Teacher and spiritual guide. I offer a number of spiritual and psychic services from my home in New Deer. I have been practicing Reiki since 1998, and have reached the level of Reiki Master/Teacher. I am fully insured and a member of leading Reiki professional bodies, both in the UK and the US. I also offer training in this wonderful art, and am happy to help potential Reiki healers realise their own potential. I am a professional clairvoyant and medium, proficient in a number of divination techniques, such as Tarot, Palmistry and Angel readings. I can offer psychic readings in person or over the phone I also offer email readings. I offer one-to-one training and group workshops in a growing number of psychic and spiritual skills. Courses are available from my Development Centre (spirit of light) in New Deer Aberdeenshire.